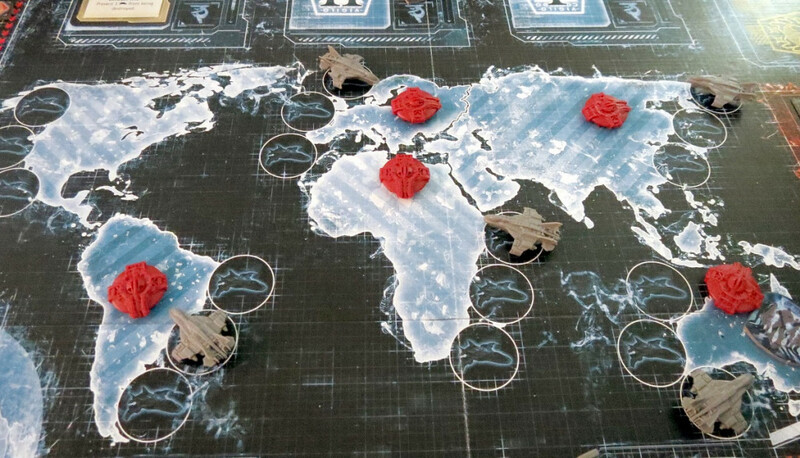 ‘Risk’ is a turn based strategy board game that allows you to dominate the whole world. Developed and published by Hasbro, the game has found immense popularity among teens and adults alike. Needless to say, it managed to spawn a lot more games that play very similar. Let us today look at some of these games that have stayed loyal to the genre over the years. Here is the list of video games similar to Risk that are our recommendations. You can play these games like Risk on PS4, Xbox One, Xbox 360, PC, iPhone, Android, mac or even online. 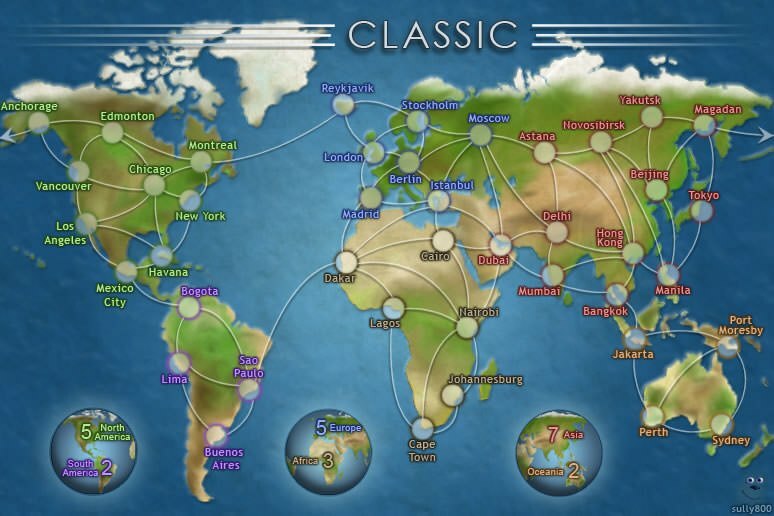 ‘Twilight Struggle is a 1940s board game developed by Playdek Inc. that revolves around the Cold War between the US and the USSR. It is a board game that is highly influenced by real world events. It contains events from the Vietnamese to the Cuban warfare. So if you are looking for a historically accurate experience similar to the events of the Cold War, then this is the game for you. There is a multiplayer support to the game that involves you taking part in battles in a coop situation with your friends. The game offers daily quests that allow you to gain extra resources in the game that allows you to avert nuclear annihilation. It is presently available on the Windows platform and macOS devices, so if you are looking for a game like ‘Risk’, then you will definitely like playing through this one. ‘Warlight’ is another board game that allows you to conquer the whole world similar to ‘Risk’. You need to maintain an appearance on the map so that your opponents are not able to wipe you out from the map. It is extremely important that you have a strong presence so that you are able to take over your opponents. It definitely helps if you if you have a prior experience with board games like ‘Risk’, so that the basic strategy is familiar with you. You start off with a country and then need to take over your enemies as you go along the game. It generally places the different players in different corners of the map, so that the neighbouring countries are open to you for expansion. ‘Catan’ is a massively popular board game that plays very similar to that of ‘Risk’ and requires you to take over and conquer neighbouring areas in a grid based world. The strategic elements of the game are pretty in depth and require you to actively analyze the move of your opponents. There are various things you can build on your lands such as roads and cities that provide you with a central hub to expand your territory. If you feel like playing the board game on the go, this is the version for you. 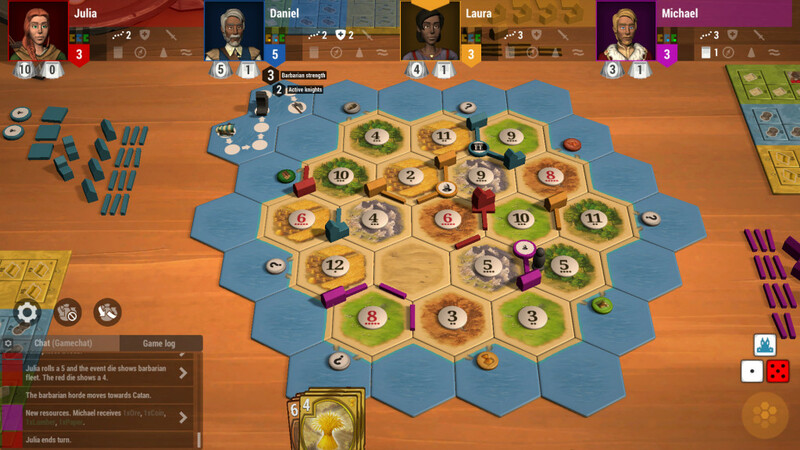 ‘Rivals for Catan’, another version of the game is also tied along with this one and stays pretty faithful to the original game. If you are not familiar with the various mechanics, then the extensive tutorial provided by the game is surely to bring you up to date with the rules of the game. You are also able to form guilds in the game that allows you to chat and connect with your friends. ‘Conquer Club’ shouldn’t really qualify as a game, but as it happens to be one of the most stable servers worldwide, it finds a spot on this list. 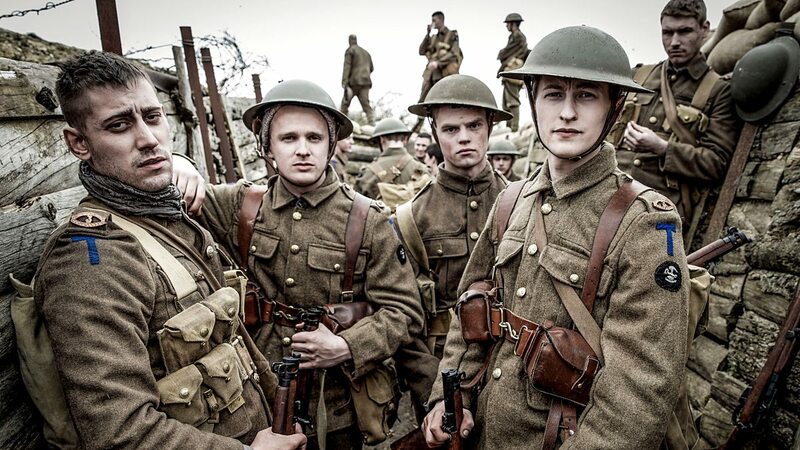 The game allows you to play the exact game of ‘Risk’, but in a safe and secure environment. It is presently available in all of the countries worldwide, so you can always find an opponent to battle with. This is a very safe and secure server, so we definitely recommend this one to you. There are various modes for you to choose from ranging from a fast mode to an extensive full ‘Risk’ game taking 15 to 20 minutes. The fast mode in the game allows you to complete a match in 2-3 minutes, so if you have limited time to put into a game, then we definitely recommend this server. However, if you wish to put in more hours into the game, then there are various modes that will allow you to do so and also awards you with better rewards. An account is all you require to start playing this one. So if you wish to, then head on to their website and register one for free. This is one of the most popular strategy games out there that strives to simulate role playing mechanics on a board game. Though the concept is ambitious, the game manages this flawlessly. It is now available to download on your Microsoft Devices like your Windows PC and Microsoft Playstore. 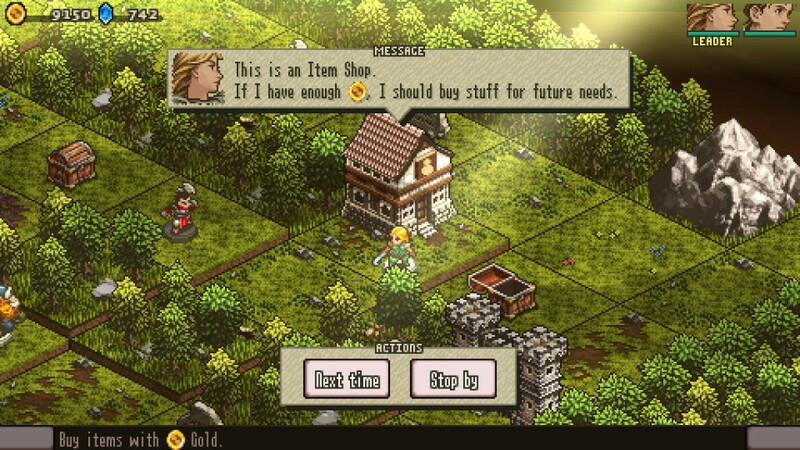 It is based around a fantasy setting where you are able to use spells and take out enemy opponents. It rather plays an important part in the gameplay and allows you to break walls or change the whole environment of the board itself. It is entirely possible for one to grasp the aspects of ‘Reversi’ if you have played games like ‘Risk’, so we highly recommend it to you. ‘Reversi Quest 2’ is the sequel to the digital version of ‘Reversi’ and improves on various aspects of the original game. This one will definitely appeal to sports fans. 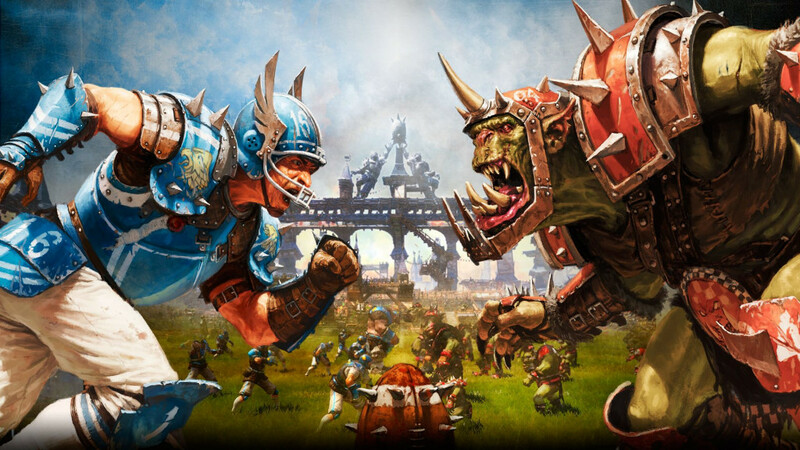 ‘Blood Bowl 2’ is the long awaited sequel to the popular 2009 game, ‘Blood Bowl’, developed by Cyanide and published by Focus Home Interactive in the year 2015 for Windows PC, PlayStation 4, Xbox One and macOS devices. 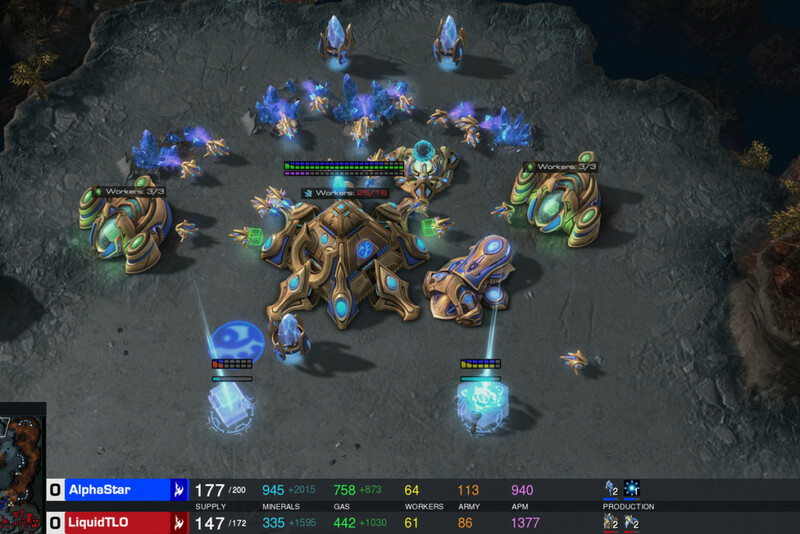 It is quite an in-depth game and allows you to pick your own race and then take part in matches. The characters are based on the ‘Warhammer’ universe and contain an extensive campaign revolving around the same. If you like the gameplay style of ‘Risk’, then you will definitely like playing through this one. 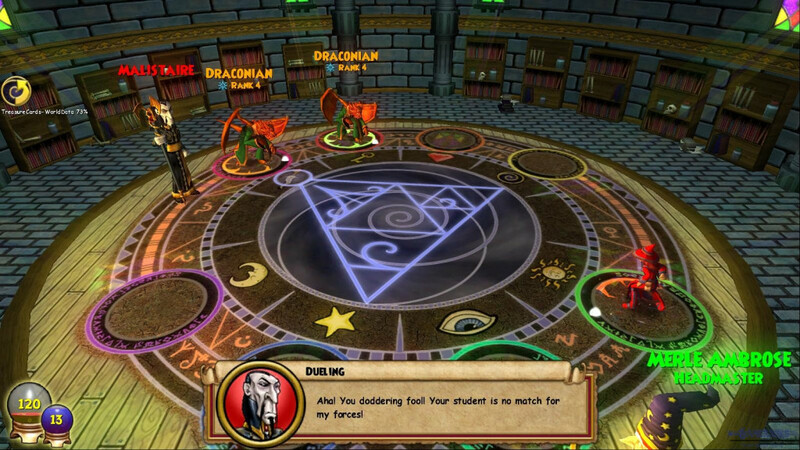 The combat takes place in a turn based format but requires you to take decisions in real time. If the mechanics seem complicated to you, then just play a game or two and it will become quite clear. We actually had a lot of fun playing the game and I find myself going back to it after a tiring day. However, there are 8 playable races in the game and the learning curve is quite steep if you want to be adept at all of them. Okay! This one is a personal recommendation. First of all, I am a bit biased towards this board game as it manages to tie in aspects of a card game and a board game, both of which are right up my forte. There are a few RNG mechanics involved in the gameplay and hence it finds the 6th spot on this list. Also, I don’t want people thinking that I rated the game at the top spot just because I am biased. I want you to try the game at your own accord and experience the strategic options for yourself. The game allows you to take one action per turn and that can involve taking and trading gems for development cycles on your side. There are various development options for one player, each having their own benefits and comes in the form of cards. There are 90 in total and each costs a certain amount of gems to acquire. Each player starts off with 40 gems with the option to gather more as the game progresses. You will definitely like playing this one if you like playing games like ‘Risk’ due to the strategic depth and gameplay options. The number of hours I have put into this game is stunning, especially since Microsoft released a digital version of it with their ‘Windows 7’ package. If you are bored at office and have no access to the internet, then this is seriously a life saver. The gameplay mechanics are pretty basic and requires you to match one tile with its corresponding tile but can get immensely frustrating if you lose. There are a lot of board games that can get frustrating if you lose like ‘Minesweeper’, but we don’t know why this one feels extra rage-inducing. Perhaps because the premise is this simple, or because we just can’t remember the right tiles, we do not know; but losing to ‘Mahjong’ is one of the worst feelings ever. We definitely recommend this game to fans of ‘Risk’ as it happens to appeal to a lot of strategy game fans. 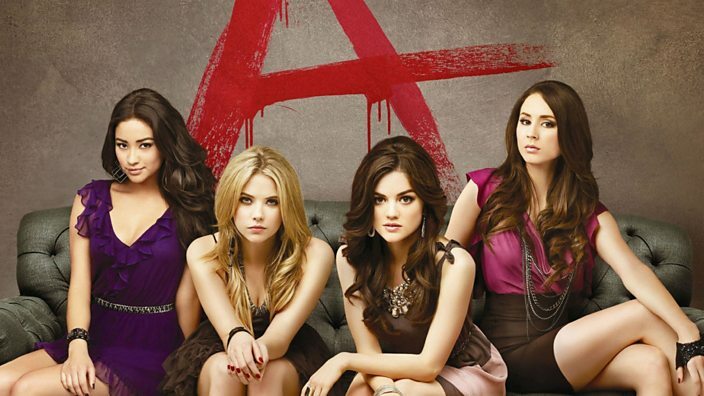 The game requires just a basic PC to run and hence has found popularity worldwide. ‘XCOM’ fans? They tend to be everywhere, so don’t be surprised if you find a couple reading this article right now in addition to the one writing it. I am an immense fan of the ‘XCOM’ franchise and have been hunting for a proper board game that takes advantage of the ‘XCOM; universe. We have a playable version now available for download at android and iOS playstore that allows you team up with three friends and take up the task of saving humanity from an alien invasion. The digital version of the game follows a very free to play style approach but requires you to be regular in order to collect the rewards on a regular basis. Similar to ‘Risk’, there are a lot of strategic decisions involved and you require communicating with your partners appropriately in order to take the right decisions. However, the learning curve is pretty moderate and you will find yourself putting in a lot of hours into the game due to its addictive nature. 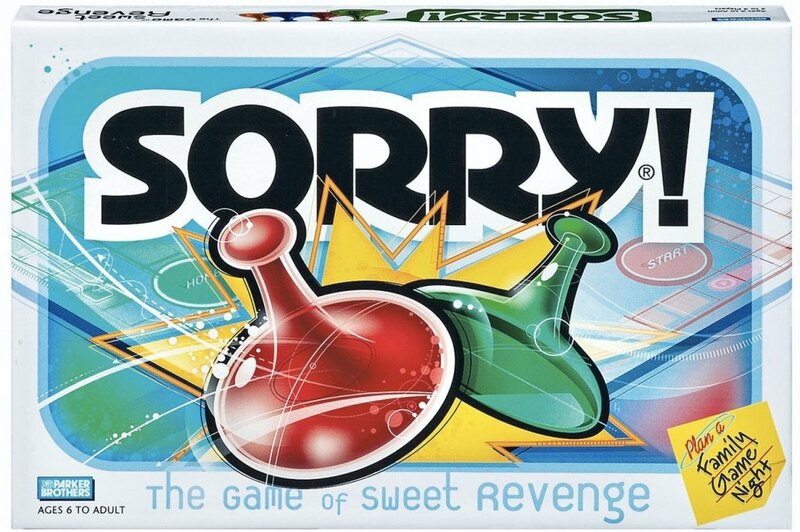 ‘Sorry!’ is a RNG based board game initially developed by Hasbro that revolves around the ancient game of ‘Pachisi’. 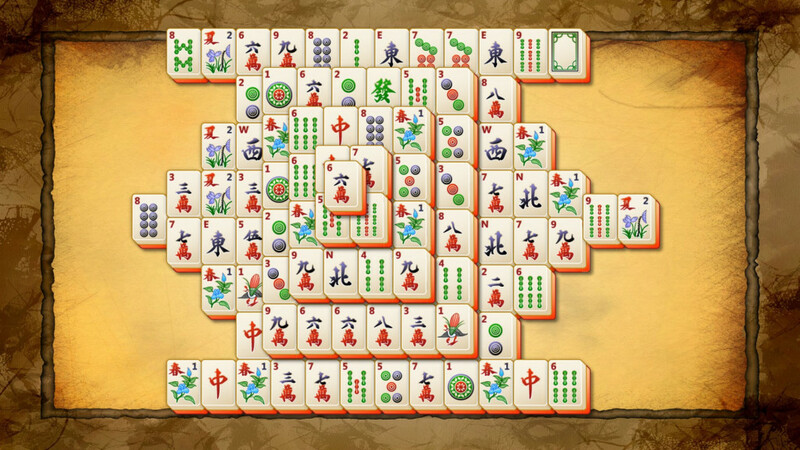 It is played on a board consisting of 64 squares, 16 for each player. There are four pieces available to the player and they need to guide them successfully through the squares before anyone else manages to do so. The pieces are moves by drawing cards and the numbers denoted by the cards resemble the number of squares you can move your pieces. Therefore, luck plays an important role in the overall gameplay but also requires you to take strategic decisions from time to time. The digital version stays pretty loyal to the original board game and allows you to customize your avatar and jump right into the game. 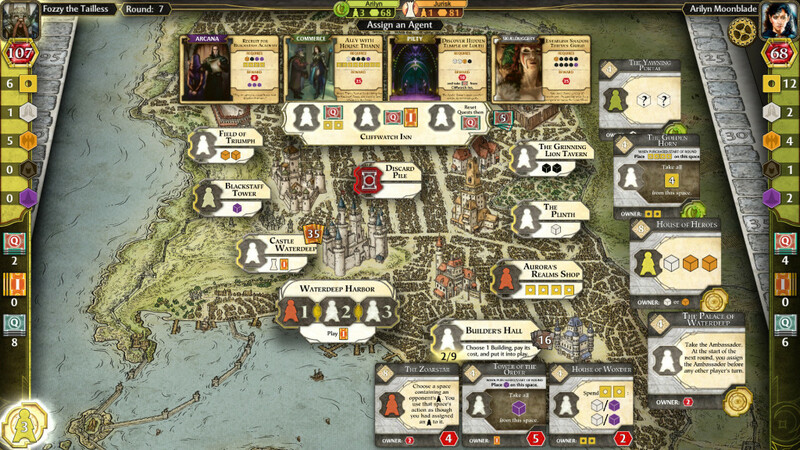 ‘Dungeons and Dragons: Lords of Waterdeep’ is a board game that revolves around the ‘Dungeons and Dragons’ franchise and its most notable characters. It is optimized for 2-5 players and requires you to recruit adventurers during your turn and assign them quests. These quests let you earn points and resources which are counted at the end of the game. You are also able to earn these points by building structures, which provide the player with benefits over multiple turns. If other players happen to use your structures during the course of the game, then you get points for it. The player with the most amount of points at the end of 8 rounds wins the game. It manages to stay quite loyal to the original franchise and portrays the gameplay aspects beautifully in a turn based strategy game. 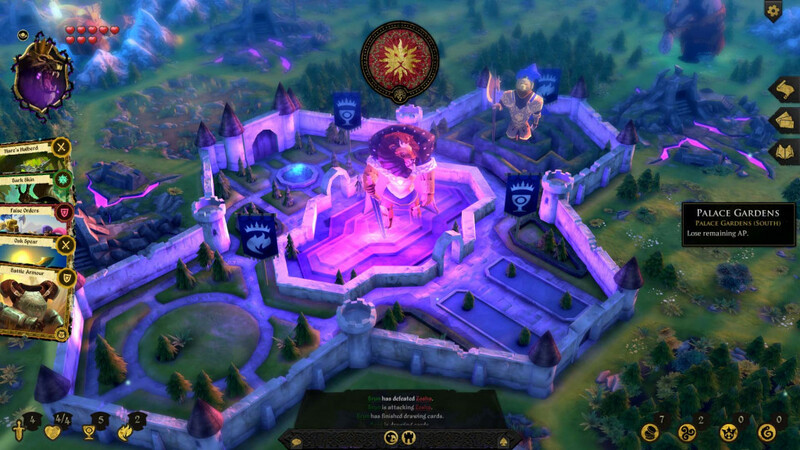 ‘Armello’ is the digital version of a popular fantasy themed table top game with role playing mechanics. The game was initially developed by indie Australian game developers League of Geeks through a successful kickstarter campaign. 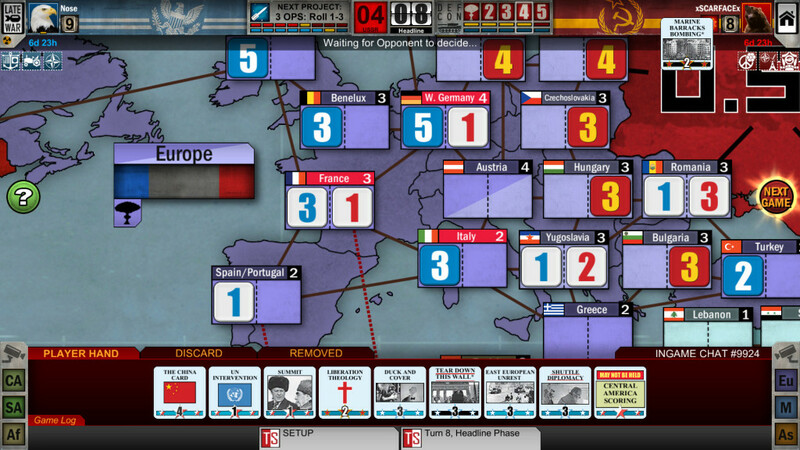 The game allows its players (of up to 4) to compete in a turn based strategic scenario using virtual dice and cards. 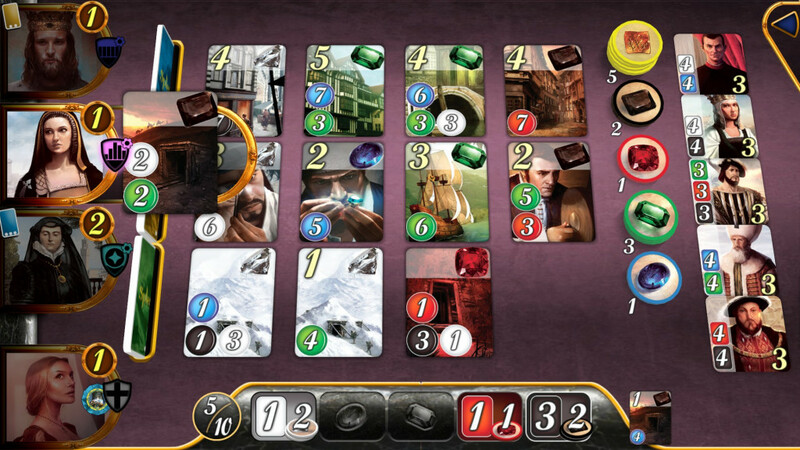 These cards and the roll of the die allow players to move, position and acquire items for their characters. It is presently available on Microsoft Windows, macOS, Linux, PlayStation 4, Xbox One, iOS, android and Nintendo Switch devices, making it one of the most readily accessible digital board games. If you like playing turn based strategy games like ‘Risk’, then we highly recommend that you try out this one.